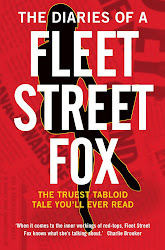 fleet street fox: A sickly constitution. JUDGES decided Nuno Ramos was not a threat to public safety. Despite beating, torturing and robbing a man who died as a result, they feel Nuno is entirely safe to be wandering around. Despite admitting manslaughter, despite admitting conspiracy to rob, despite being part of a vicious gang and having two drug offences under his belt. More important than his crimes is the fact he has an ex-girlfriend and a baby son, and a brother who also lives here. Luis Ramos was convicted of the same crimes as Nuno, but immigration judges felt there was no "serious grounds" for thinking the brothers made the place less safe, and refused to deport them to Portugal where they emigrated from 14 years ago because of their right to a family life. Perhaps in their time in jail they recanted, studied, and were rehabilitated. Perhaps they came to regret bursting into a man's home armed with baseball bats, taping a bag over his face, binding his hands and feet, then stabbing and battering him before taking his valuables and fleeing as he died in his hallway. At the same time we have a new report into the care system which says children are being let down, abandoned and abused, that children's homes are "not fit for purpose" and there needs to be a full inquiry into what's gone wrong and how to reform things. Charlie would find his feet in those places pretty quickly. He'd probably not understand why killers have more rights than children, and are better looked after by the 'system'. Maybe he'd even write a book about a child living in these modern ghettoes who was battered by the system until he grew up to batter someone else to death, or maybe he'd just snap his pencil in despair that human beings still haven't got this stuff sorted. Having problems creates opportunities for ambitious politicians who like to cut a dash. That's why in 2006, shortly after it was announced the Italian-born killer of headteacher Philip Lawrence would not be deported because of his right to a family life, the then-Opposition leader Dishface announced he was going to sort it all out. 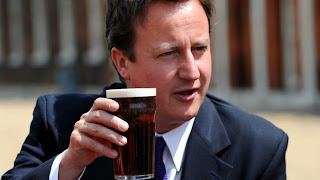 He criticised the Human Rights Act and said: "It has to go. Abolish the Human Rights Act and replace it with a British Bill of Rights, which sets out rights and responsibilities. The fact that the murderer of Philip Lawrence cannot be deported flies in the face of common sense. It is a glaring example of what is going wrong in our country." In 2010, after entering a coalition government with a party that quite likes human rights, Dishface couldn't quite do that and instead had to set up a commission and button his lip. Its report is due later this year and is expected, in the style of most government inquiries, commissions and reports, to achieve the square root of naff all. The fact is we already have a Bill of Rights - it was written in 1689. It lays down the rules of the monarch and Parliament, and its rights were used as the basis for similar documents drawn up by the Americans, French, Canadians and the United Nations. It became the foundation for the European Convention on Human Rights which - despite what Dishface would have you believe - we signed up to in 1953. The Human Rights Act 1998 was intended simply to make it possible for the convention to be enforced by our own courts without making people spend £30,000 and five years of their time taking it to Strasbourg, which if you've been denied what you should have is fair enough. None of them are perfect. The 1689 law isn't very nice about Catholics, the convention is so loosely written it's been used to tie up a free press in legal knots and the 1998 act seems to do more for prisoners than anyone else. Those laws don't need to be abolished - they just need to be written properly and brought up to date, tie up the loose ends by setting down things as they already are. 12. Every Briton shall have the right to sing for a talent show judge, even the prisoners. I expect even Dishface would think twice about setting that little lot in stone, even though it's pretty much already in force judging by the unending trickle of stories about prisoner rights, mistreated children, and public servants be they politicians or judges not only out of touch but wilfully ignoring the fact the public have a different opinion to theirs. It would of course be preferable if we had a modern Bill of Rights which guaranteed our right to strike, free healthcare, decent education, to wander the streets in safety, have a say in how our tax is spent, and to treat our children at least as well as we do adults who have committed dreadful crimes. But, like always, we'll end up with a fudge because pointing out what's gone wrong is easiest from the outside and almost impossible to see once you're sat on your £3,925 sofa in Downing Street. A prisoner wouldn't get left in a pub.